dying for those loafers !!! very cute! Love the skirt! like the burgundy skirt, the color is gorgeous. Love this outfit with those leopard print shoes! that skirt is so cute! also, i'm having a $50 gift card giveaway! So inspired now. Love the denim + red skirt combo. And the leopard loafers? Perfect choice. 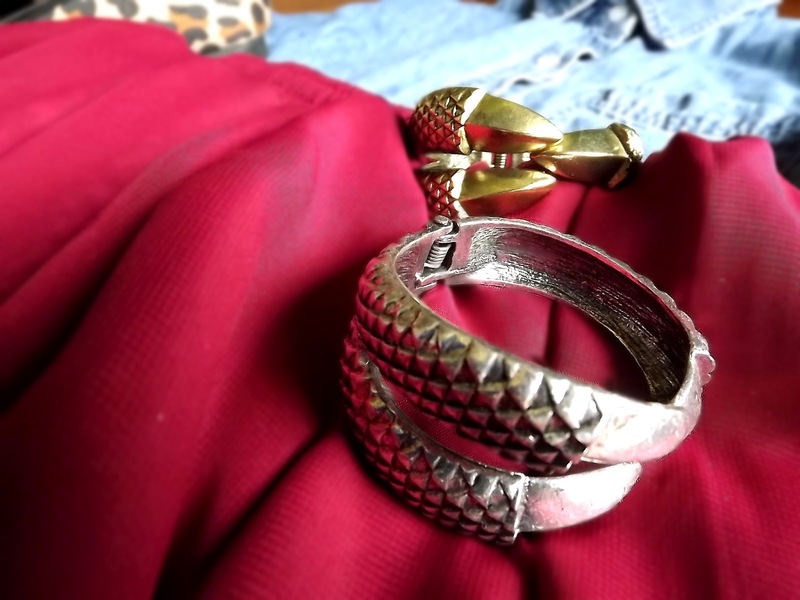 Such cool claw bangles too. Love those leopard loafers! This outfit is perfect. adorable! i love the claw cuff and leopard shoes! Stunning! Love the denim shirt so much. Love your loafers! <3 Great combination! Cute outfit! I love leopard loafers...I just want to wear mine all the time! Great pictures. The leopard shoes are awesome! This is such a cute outfit! I really need to get my hands on a chambray top! P.S. Love your blog - so fun! love those shoes, and i'm following you from now on! The denim and the burgundy work really well together.